Bring Your Cement Floor to Life with Concrete Painting | Adriatic Restoration Corp. Concrete painting using amazingly strong polyurethane resin products can bring drab commercial floors to life. 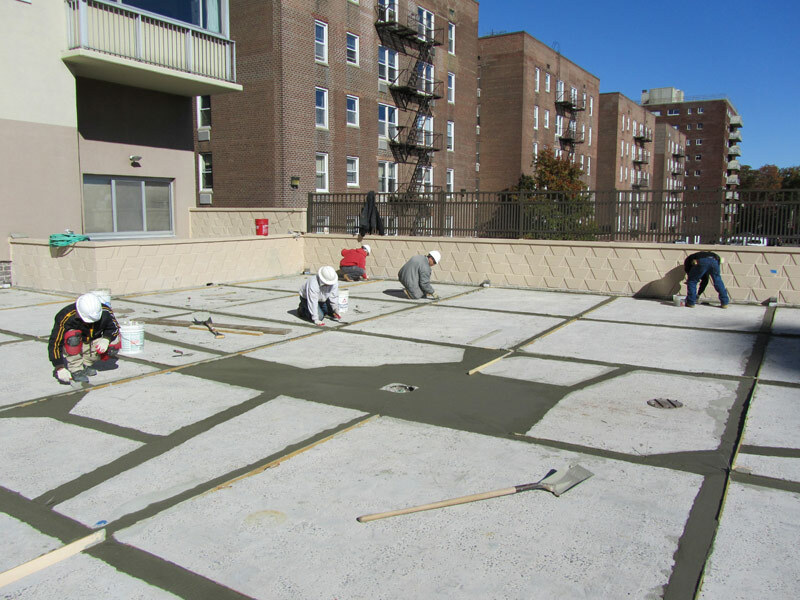 Employing a low-odor resin product to cover the concrete, the floor coating can create a surface that is resistant to corrosion, chipping, and denting. The polyurethane material also adds an impenetrable layer to the floor that allows for heavy foot traffic without damaging the durable material. The tough surface can also withstand scuffing, peeling, and cracking. Commercial garages, office spaces, and retail showrooms are perfect places to let the beauty and shine of the coated concrete enhance the work areas. The glossy look can also be utilized in research buildings and medical facilities that need a seamless floor covering that won’t allow mold, bacteria, or viruses to grow. The solid, continuous application can also provide an area that is not only beautiful, but one that is easy to clean and sanitize as well. Although the moisture-curing polyurethane resin has been around for quite a few years, the actual modern commercial painting application is relatively new. Now with a multitude of aggregate colors and blends to add to the waterproof flooring, the individuality of designs and styles in concrete painting is almost endless. It has never been easier to transform a drab, gloomy commercial building into an eye-catching workroom.